Bolton came through a crunch relegation six-pointer with Blackburn earlier this month and a similar result is required against Wolves if Owen Coyle is to save his job. That victory at Ewood Park is the only game that Bolton have not lost in their last seven in the Premier League and this horror run has seen the Trotters slip just one point off the bottom of the table. Another defeat against Wolves would leave Bolton at least five points from safety, with clashes against Manchester United, Liverpool and Arsenal among the opposition awaiting in January. This effectively makes the Wolves fixture a must-win game for Bolton and they are 11/10 to take the three points. In their favour is that Bolton have won their last three Premier League meetings with Wolves and they have triumphed in their last two at home 1-0. 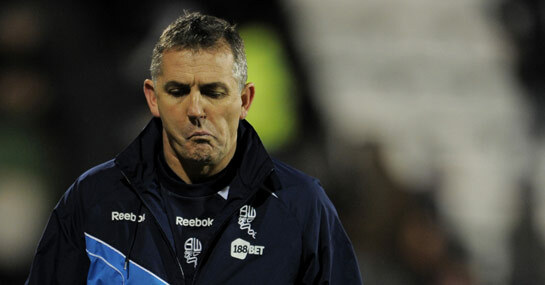 Coyle would happily take another repeat of this and it is 6/1 that Bolton win 1-0 again. But, worrying for Bolton is that they have the worst home record in the division, losing eight of their nine encounters at the Reebok Stadium. Wolves also head into the fixture on the back of useful and unexpected 1-1 draw with Arsenal and know the damage a defeat could do to their survival hopes. It is 5/2 that Wolves beat Bolton and 9/4 that the showdown ends as a draw that will not really help either club in their battle with relegation. If Wolves are to win, they will hope that top scorer Steven Fletcher adds to the seven Premier League goals he has already managed this season. Fletcher is 6/1 to open the scoring at the Reebok and 7/4 to net any time at the Reebok. For Bolton, Gary Cahill will want to score another goal at the Reebok before his probable exit in January and is 9/1 to strike in the 90 minutes.